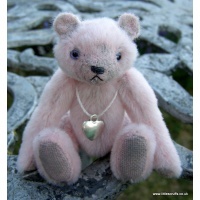 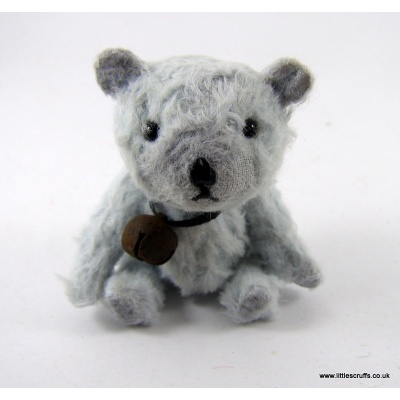 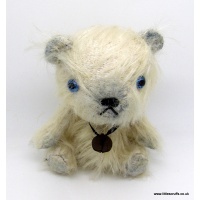 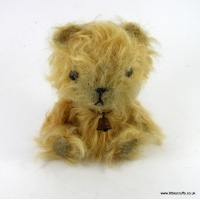 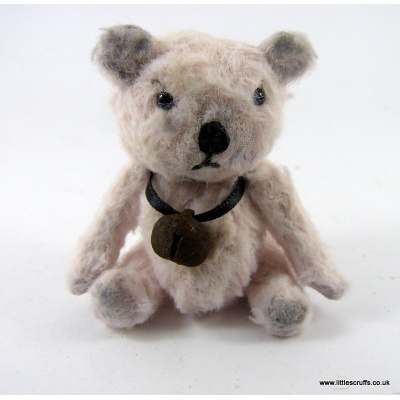 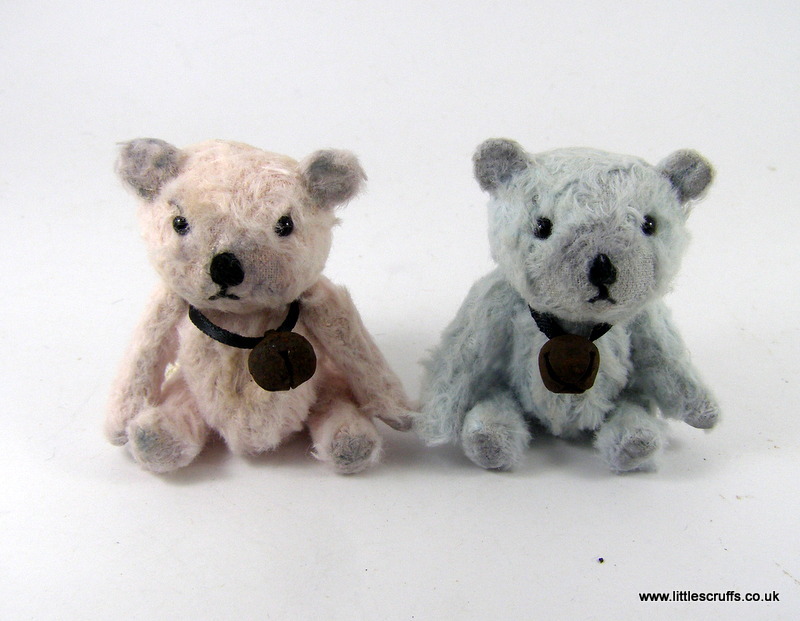 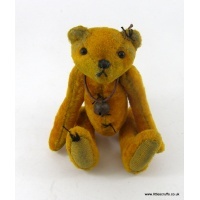 Stan and Hilda are 2 little bears approximately 21/2 inches tall when standing Stan is made from blue viscose and Hilda from pale pink viscose. 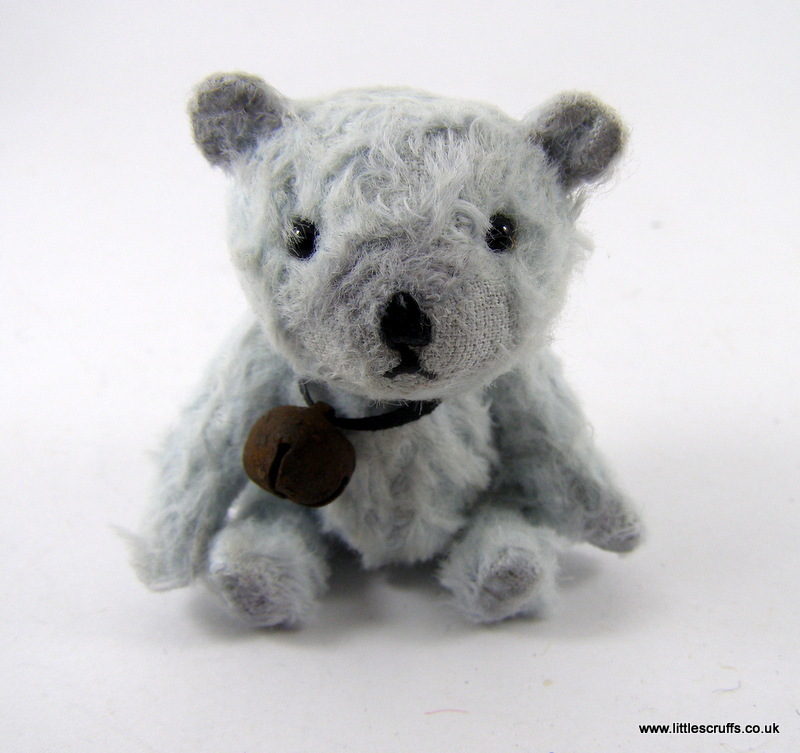 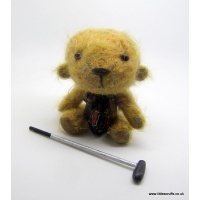 They are fully cotterpin jointed and are firmly stuffed with kapok, used in the making of early bears. 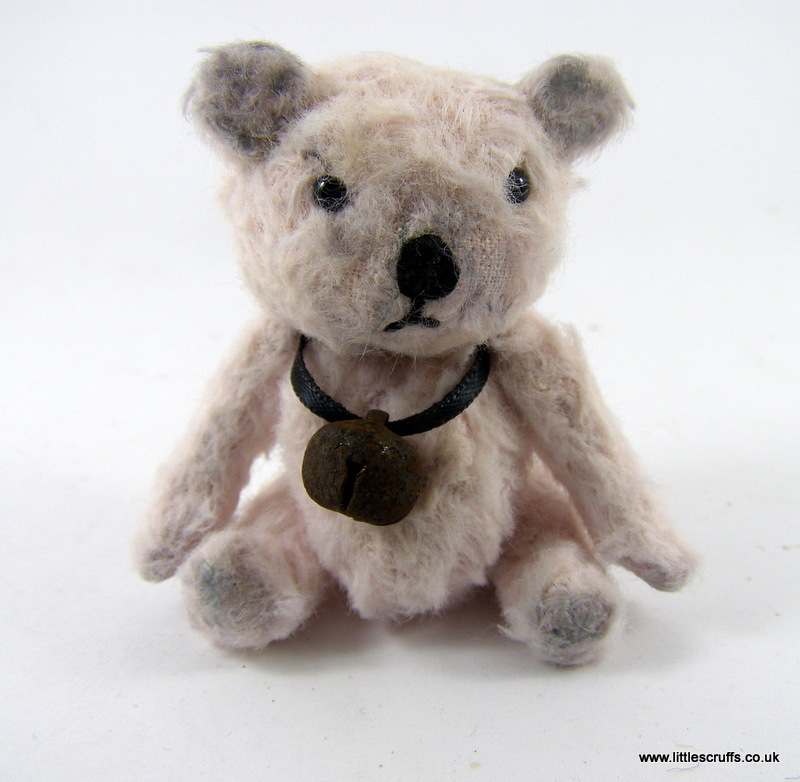 They have steel shavings in their body for added weight. 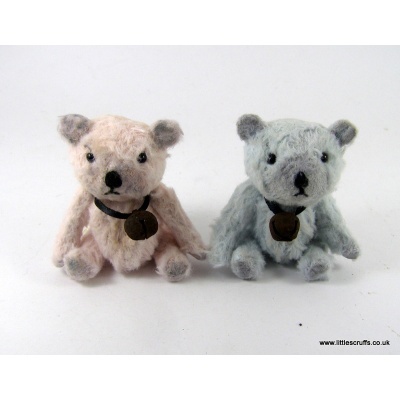 Stan and Hilda have black glass eyes and stitched waxed noses and tiny mouths.They have been plucked, shaded and waxed for a well loved look and come wearing rusty looking bells around their necks.